Like the Series 4: The Specials release, this album is also a 2-disc set. The result of this is that it really feels like a soundtrack, like a journey from A to B with a wealth of characters and themes in between, rather than the more “pick ‘n’ mix” approach to the first few releases. We begin with Doctor Who XI – Murray Gold’s brand new rendition of the Doctor Who Theme, for a brand new era of the show. And it is stompingly good! The brass fanfare over the introductory bars took a few people by surprise (myself included), but it’s perfect for the tone and feel of the show in Steven Moffat’s hands, and it matches the opening titles very well, too. What follows is a selection of tracks from the opening story, The Eleventh Hour. This episode had to introduce a new Doctor, a new companion (at two different ages) and a brand new feel for the show. Even a new TARDIS! Murray Gold brilliantly does the same thing in his music. This episode features some of my favourite tracks from the series; the haunting, sweet little melody for Little Amy, the exuberantly comic Fish Custard, the devastatingly beautiful Can I Come With You?, the magical The Mad Man With A Box, and, of course, I Am The Doctor. As a theme, I Am The Doctor is excellent; its quirky, syncopated 7/4 beat and wacky, playful woodwind melody is perfect for Matt Smith’s Doctor, while the relentless strings and cyclic horn chords show us a darker side. The “B section”, as featured in The Sun’s Gone Wibbly, is also a fantastic tune, a rousing chorus as the Doctor encourages people to be their best. The theme’s rendering on this album (in its original form on Track 9) is slightly disappointing, because of the intrusively percussive guitar line which didn’t feature in any screened version, but the other versions such as Onwards! and at the end of Amy In The TARDIS more than make up for this. The theme’s frequent use in the series is echoed by its many guises on the album – no complaints from me, though, as it’s a superb composition. Amy’s Theme does not appear until the beginning of episode 2, The Beast Below. As with Rose’s Theme in Series One, it’s almost as if travelling with the Doctor has unlocked the song in Amy’s heart, as we hear it for the first time here as she floats above the TARDIS gazing at the stars. This creates an emotional connection for the audience, so that, when the theme is developed in later episodes, we are able to simultaneously call back to the beginning of Amy’s journey and look forward to the future of her character arc. One particular standout track is The Vampires of Venice. It’s very Danny Elfman in its use of the “dark fairytale” sound-world (tremolando strings, fluttering flutes, celesta and “floaty” choir). It’s magical and mysterious, and builds to an epic action sequence with crash cymbals and very loud “Hah!”s from the choir! There is also some nice material from Amy’s Choice – This is the Dream reminds me slightly of the McCoy era music, such as Dominic Glynn’s score to Survival. The Hungry Earth / Cold Blood begins with a lyrical valley theme, setting the tone at the start of the episode, while the Silurian theme contains hints of the old-style Pertwee era music (Malcolm Clarke’s bizarre electronic sounds of The Sea Devils). Orchestral power builds up with the taste of war and aggression, with a deeply unsettling undertone. Onto Disc 2! There is some fantastic music in Vincent and the Doctor, in its own world of clarinets, saxophones and mallet percussion, most notably in the beautiful “With Love, Vincent” from the end of the episode, a lilting waltz with a pang of sadness, yet ending on a positive outlook. Gareth Roberts’ The Lodger was unique, fresh and FUNNY! And so is Murray’s score. The tune for Craig and Sophie (Friends and Neighbours), is lovely, gentle and wistful, while the next two tracks have a distinctly silky clarinet solo, suggesting the strange impact the Doctor has on these ordinary lives. Most of Disc 2 is dedicated to the series finale, The Pandorica Opens / The Big Bang. And quite right, too – the score to these episodes is hugely cinematic, with great scale and depth. Beneath Stonehenge is a track John Williams would be proud of, while the following track, Who Else Is Coming? is simply crazy in its escalating panic and mayhem! The bombastic horns give a sense of drama and danger, and the energetic strings and flourishing woodwinds keep an undercurrent of fear, while complementing Matt Smith’s quirky, edgy performance as the Doctor. 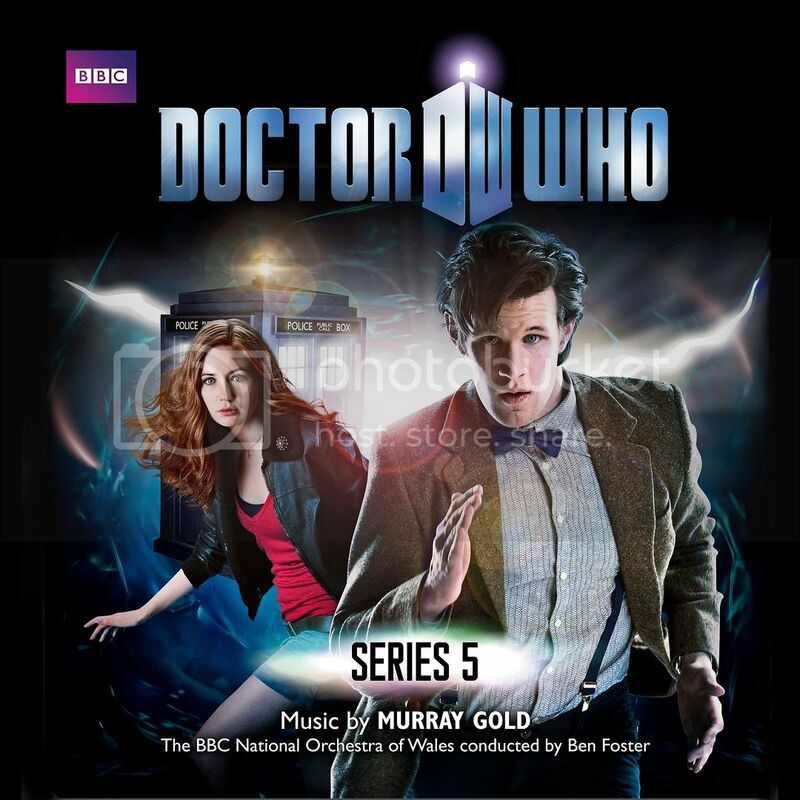 At the climax of the first part come two tracks, Words Win Wars and The Life and Death of Amy Pond, which are based on character themes and have both been given similar treatment. The former is the stirring, rousing reprise of I Am The Doctor played during the Hello, Stonehenge! speech, and the latter is a fully orchestral version of Amy’s Theme, which wouldn’t be out of place in a ballet or opera; it’s as if a moment of time has been frozen, as we watch with pity as the Doctor is dragged into the Pandorica, and the universe seemingly disappears from existence as Rory hopelessly clings onto the dead body of Amy Pond. For me an underrated track, Roman Paradox is a perfect madcap moment as the Doctor appears in front of Rory at the start of The Big Bang. The Patient Centurion is also excellent, as a poignant reflection on Rory’s devotion to Amy. This cue was used earlier in the series as well, so by now it has a strong emotional connection to the characters involved. Both The Sad Man With A Box and You And Me, Amy feature variations on The Mad Man With A Box, a secondary, more emotional and mysterious, theme for the Eleventh Doctor. You And Me, Amy is perfectly gentle and touching, as the Doctor resigns himself to his fate and tells little Amelia a final bedtime story. This is surely one of Matt Smith’s finest performances in the series, accompanied by the perfect score. Overall, this album is superb; it tells a story with such depth and sensitivity, exploring a wide range of genres and sound-worlds. The album finishes with Onwards!, another reprise of I Am The Doctor, which is perfectly placed and executed, finishing on an imperfect cadence, a musical cliffhanger as the TARDIS team fly off, laughing, with promise of more adventures to come. Stephen Willis is the creator of The Doctor Who Fan Orchestra.